Home » Columns » feature » N. S. Venkataraman » Is News Thievery By Journalists Legitimate? Is News Thievery By Journalists Legitimate? 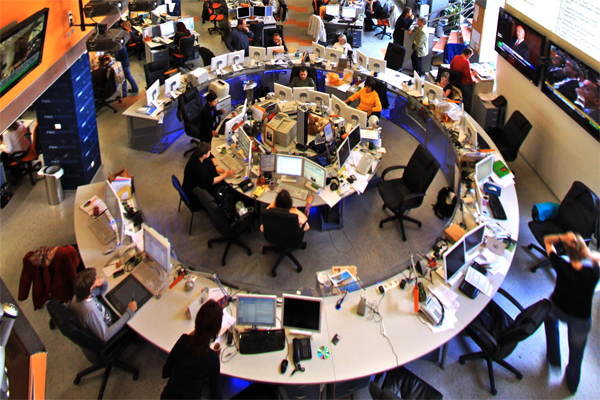 Whether one would like to admit it or not, in recent times, all over the world, most of the people have developed suspicions and misgivings about the neutrality of the journalists and their commitment to fair journalism. There is rapidly spreading view that media is a commercial activity with profit motive and news and views are products for sale. It is clearly evident that media is steadily going under the control of business houses and politicians and religious bodies , who often have vested interests or business motives or both. In USA, it is clearly evident that a section of the media has deep prejudice against President Trump , often using vituperative language to criticise him and publishing motivated stories. During the last Presidential election, several leading newspapers and journals in USA openly campaigned against Trump and wanted him to be defeated. Trump won and became the President , proving that the views of the media do not carry faith and conviction or any weight amongst people any more. This situation is no different in many other free and democratic countries including India. The conditions in U K too is no different. Of course, in countries like China and Singapore, media is not allowed to criticise the government and the media is largely controlled by the government. In India, in recent times, many section of print and visual media carry out what they call as investigative journalism and in the process, publish unverified news mixed with the views with what appears to be ulterior motives and objectives. It is often said that in this process of investigative journalism where serious allegations are made against one or the other , the journalists say that they will not reveal the source of the information or conclusively prove the information that they have given with firm evidence. In this media exercise, accused persons, who may even be really innocent , suffer heavily. While they can go to the court filing defamation suits against the media , the courts take several years to give judgement and the media and the journalists go virtually scot free. The media personnel say that any attempts to prevent the media from stating and writing whatever they want, ( whether right or wrong or true or false) amount to suppression and curtailment of freedom of press and media rights. The time has come now to decide whether the freedom enjoyed by the media and the journalists should be unlimited and total. It is also necessary to introspect as to whether it is ethical practice and in the true spirit of honest journalism to publish articles and news without adequate proof and without stating the alternate views and not giving details about the source of information. What is thievery ? Stealing gold or silver or money from household or elsewhere is thievery. Similarly, stealing news or official papers from any organization and government departments to publish news in a way that it satisfies the whims and fancies of the particular journalists should also be considered as nothing but thievery. It may often happen that such news may be collected by the journalists and media house by bribing or corrupt methods. In the name of media freedom, the source of information is withheld by media. Is such acts of journalists any better than the acts of those who steal gold or silver or money from any household or elsewhere ? Obviously, media freedom is now taken to an absurd level by journalists, claiming freedom without responsibility to indulge in detective exercises to “unveil the facts” . With widespread feelings amongst the cross section of people all over the world that media houses and journalists now only rarely remain unprejudiced or motiveless, the level of freedom enjoyed by the media need to be closely scrutinized and reassessed. Of course, the media enjoy the privilege to publish or unpublish any news or views, appropriate or otherwise. The debate for or against the unlimited freedom for media also has to be carried out only in the media, whether print or visual. Will the journalists of today allow fair and honest media debate on this subject remains to be seen. Any way, there is no doubt that media and journalists are under trial all over the world now.